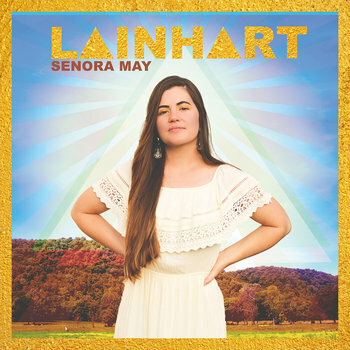 The title, Lainhart, is my maiden name and intended as a reverent nod to my family who taught me to value nature, hardwork, and honesty in the hills of Kentucky. Lainhart encompasses a range of emotions I have felt through obligation to my family, supporting my younger brother in his deployment in the Marine Corps, supporting my husband in his quest to conquer the touring life of musicianship, supporting my long term and long distance relationships with the men of my life. The album alludes self preservation through solitude; I really started loving myself when I stopped giving all the good parts of me away to people that were not present. When I realized traipsin' solo is freedom, I savored it. I am proud of this piece of work as a whole because it provides a diverse introduction of my work to my fans. I wanted to highlight my struggles and triumphs as a female with inhibitions, to overcome and celebrate the things in my life for which I am so fortunate. I am thankful for these, my family bonds, my sweet husband, and what's left of the natural world. I appreciate Josh Nolan for playing like a beast on this record, and Kenny and Hayden for playing like gentlemen, and mixing, mastering, and engineering it at their Whitesburg, KY location, Fat Baby Studios. I hope the good folks of Kentucky and beyond enjoy this record as much as I did making it. Thank you for listening!